Cuesta wants to offer you an unforgettable experience in our city. You just need to enjoy riding, we will take care of the everything else. 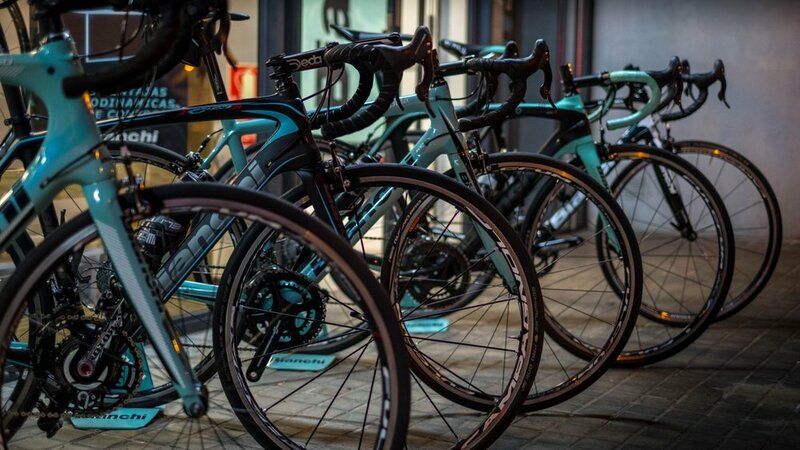 We are proud to offer some of he best bicycles from Italian cycling icon Bianchi. All carbon road bikes with Shimano Ultegra and equipped with two bottle cages, a saddle bag with puncture kit and pump or CO2 cartridges. Every year our fleet is renewed so you always ride on the latest celeste beauties. In Cuesta you can choose between different models and sizes. 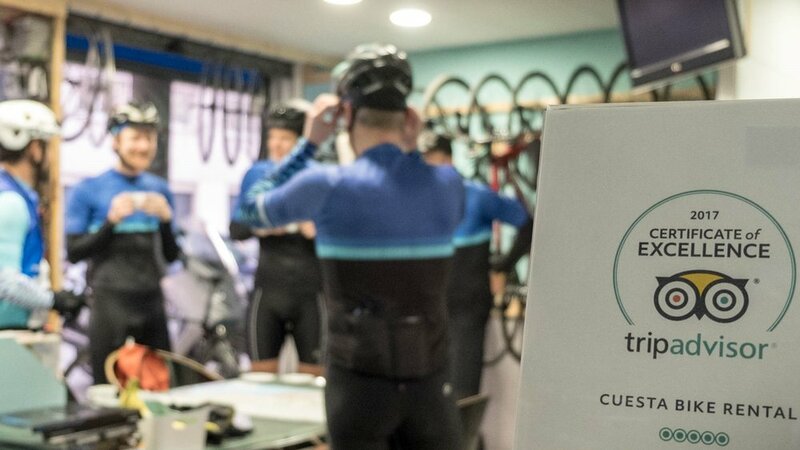 In our store you can find everything you need to enjoy cycling. On request we can supply GPS devices, helmets, shoes, cycling shoes and clipless pedals. You can find our shop in the best area of Barcelona. From here we offer you spectacular guided tours or self-guides, avoiding traffic and pollution. Cuesta´s workshop is fully equipped with professional tools from the Park Tool brand. 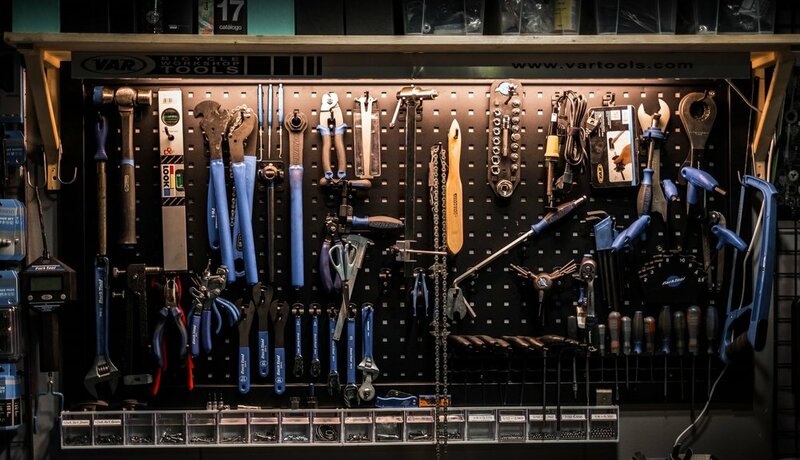 Our mechanic maintains our Bianchi fleet here and we also offer tune ups and maintenance for your bike. 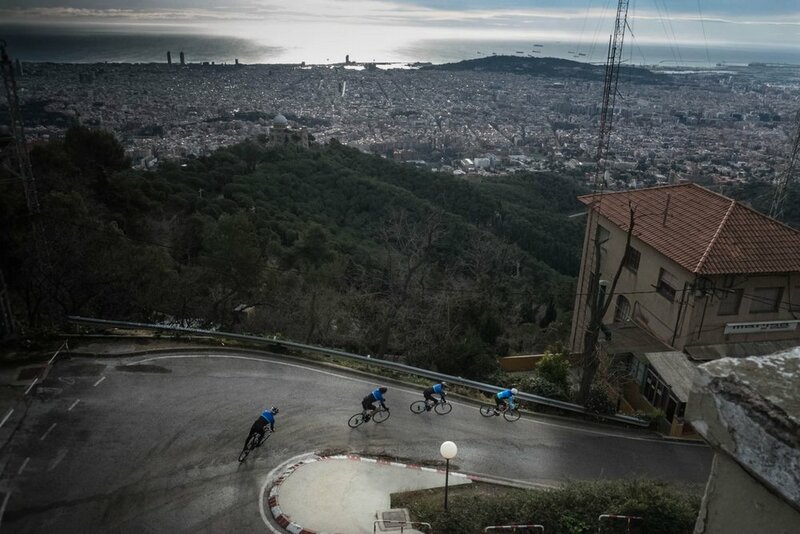 We have experienced guides who will show you the most awesome views of Barcelona area. You just need to enjoy riding. Subscribe and receive news and updates. We respect your privacy and will not share your data with anyone.